An award-winning urban food market which “stands as a powerful reminder about what can happen when people dare to put a dream into reality”. 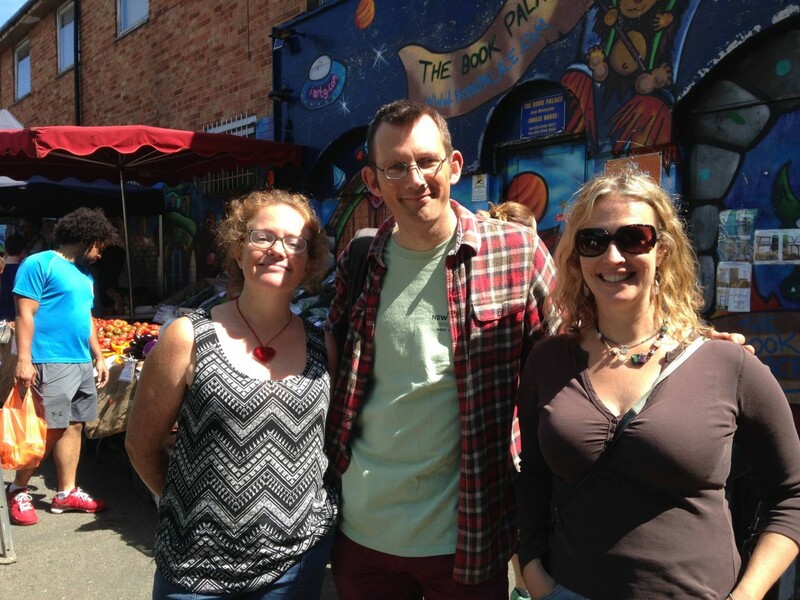 Intrepid '21 Stories' reporter Rob Hopkins with Karen Jones and Laura Marchant-Short, the market's managers. "Encourage people to take the initiative and give them the tools to do so. You might be surprised what they can achieve. It is possible to create bottom up infrastructure that can deliver locally sourced sustainable food on a significant scale. Over the long term, we can make changes that can have significant impact on the carbon footprint of food in an area. We are doing what we can. Are you?"